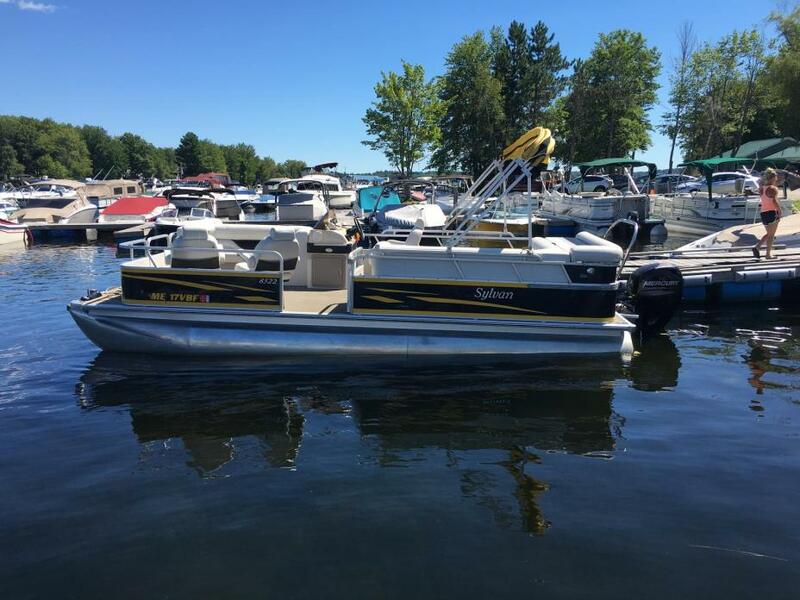 The boat is powered by a Yamaha 150HP 4 stroke motor with only 85 hours on it and per the seller, is still under warranty until April 2020. 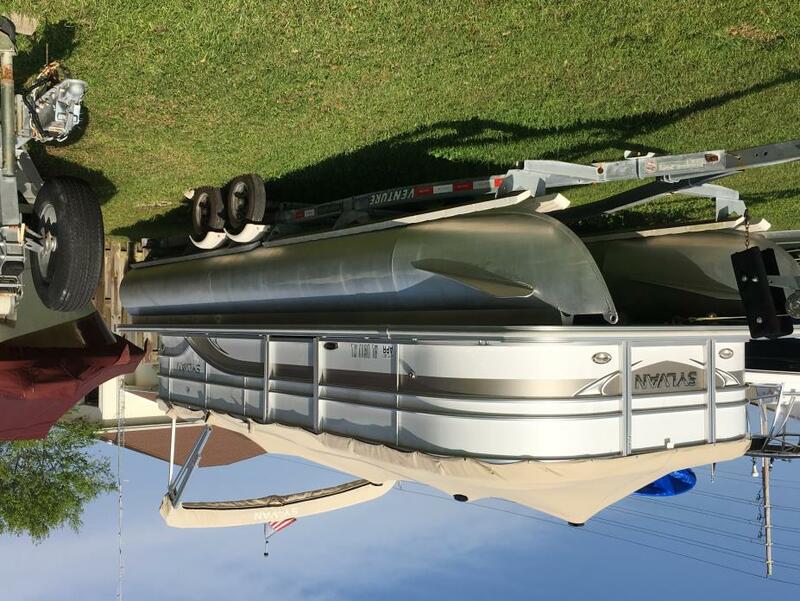 The whole rig rides on a 2016 Road King aluminum twin axle trailer with 4 wheel disc brakes and includes a very convenient ladder to the bow of the boat. The boat also has two (2) deep cycle marine batteries, controlled by a Perko switch and conveniently located in the exterior transom. If you are looking for lots of family fun on the water that begins today, this Sylvan Mirage 8522 is just the boat for you. DO NOT WAIT!! This boat won't last long. Stock #162390 Great Condition!! Yamaha 150 HP 4-Stroke!! Changing Room!! Reason for selling is not using enough. This Sylvan is in "like new" condition all the way around. All upholstery is in like new condition. Always stored indoors and used a handful of times. Owner states about 500 miles on the tandem axle trailer Why buy new! Stock #170266 2018 Yamaha 150 horsepower motor with less then 20 hours 2018 tandem axle trailer Mint condition not a scratch on it. 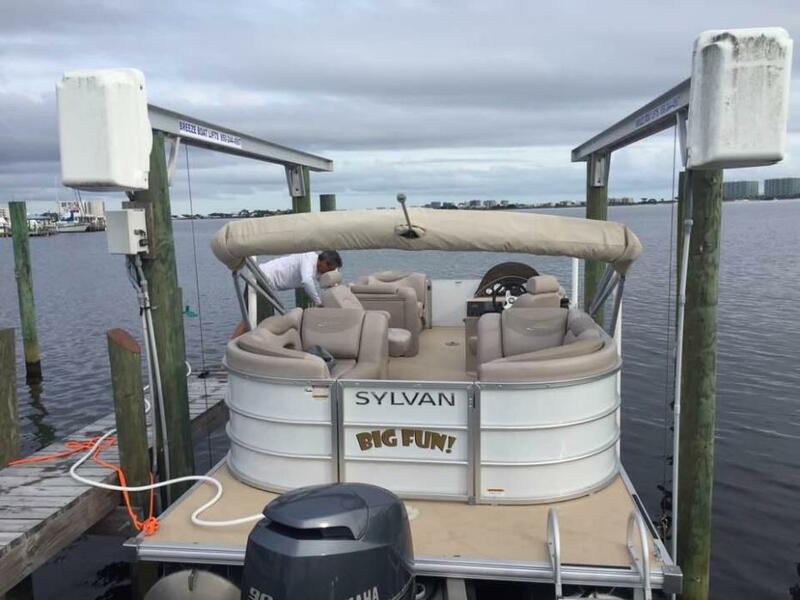 Always garaged If you are in the market for a pontoon boat, look no further than this 2017 Sylvan Mirage 8522 Cruise and Fish LE, just reduced to $39,500 (offers encouraged). 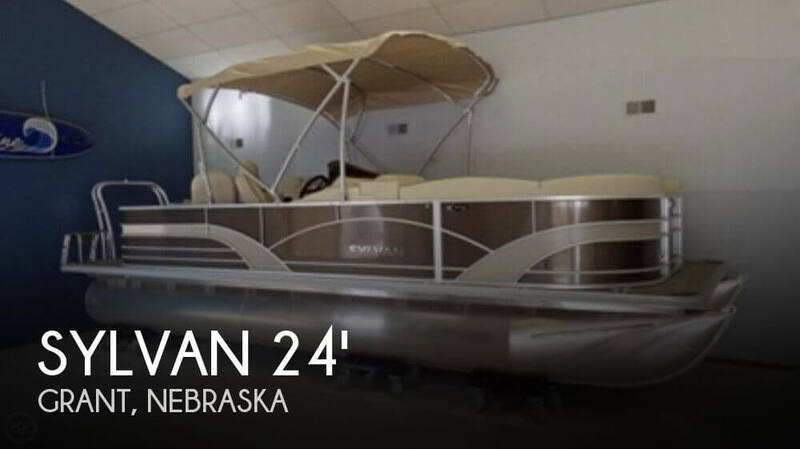 This boat is located in Grant, Nebraska and is in great condition. She is also equipped with a Yamaha engine that has only 20 hours. 2004 Sylvan 8522 mirage, New Mercury 60 command thrust engine!!!! 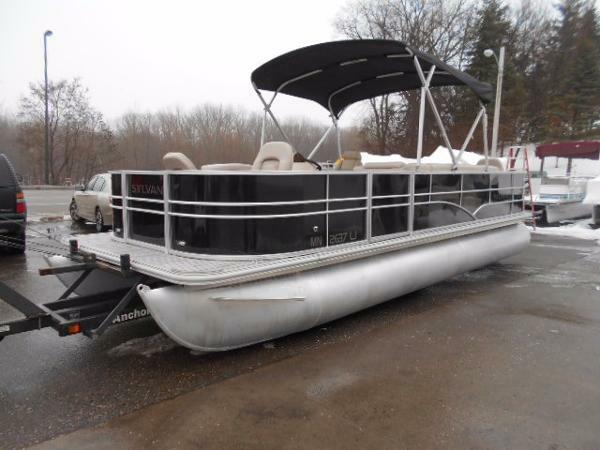 Great deal on this pontoon boat!!! 2015 Sylvan 8522 Mirage BANK REPO!!! 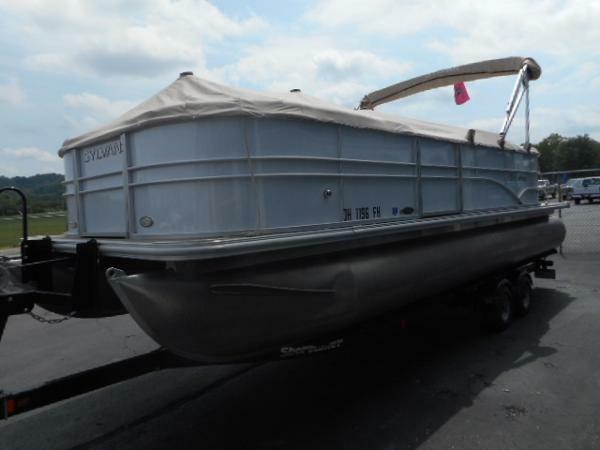 This boat is a brand new never been used bank repo that can be yours for a great price! This boat has been checked over by an award winning team of marine technicians to make sure your experience on the water is the best it can possibly be and it's ready for a new home. 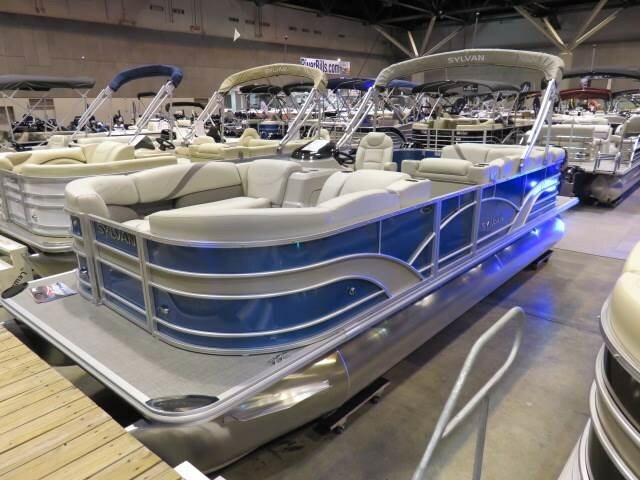 Features on this luxury edition, never been used 2015 Sylvan 8522 pontoon are front, side and rear entry gates, a lounger, rear entry ladder, full gauges, rear swim deck, infinity bluetooth stereo, surround sound, tilt wheel, changing room, mood lighting and a 50 HP Mercury 4-Stroke motor. Call, email or stop by Lakeside Marina in Oshkosh, Wisconsin for more information on this great deal! 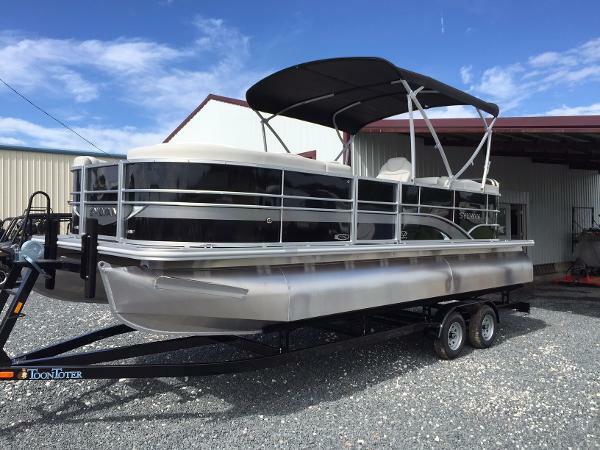 2014 Sylvan 8522 Mirage One Owner! 2014 Sylvan Mirage 8522 LZ PB measuring in at 23’10”. 25” tube Diameter. Powered by an Evinrude E-Tec 115HP with Stainless prop. Tandem Axle Shorelander trailer with brakes included. The boat has the Entertainment layout with a Bar and four stools. 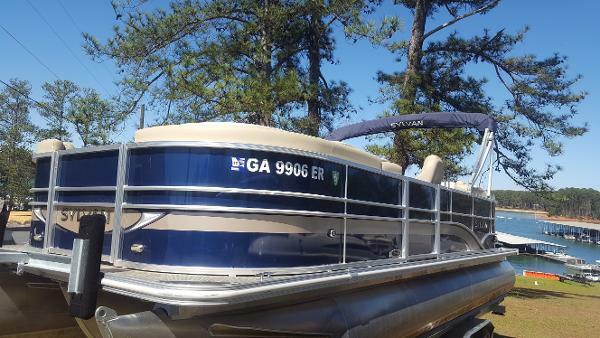 Options include: Bar with trash can and storage, Bimini top, AM / FM Stereo USB and Aux Plug, Changing room, Cup holders, Depth/ Fish Finder, Docking lights, Grill, snap on mooring (playpen) cover, Ski tow bar, Storage under the seats, Very clean! All Trades Considered! 2016 SYLVAN 8522 MIRAGE, This 2016 8522 Mirage is Sylvans best price point model. This model offers some of the same features one will find in a higher end model for a fraction of the price. With dual helm chairs at midship, your entertainment can enjoy the same feel as the Captain. At the stern you will find rear facing sofas with a fixed ski tow tower for all your watersports. This model also offers RPT pontoons (Revolutionary Planning Technology). This will allow better performance and wide open throttle handling. 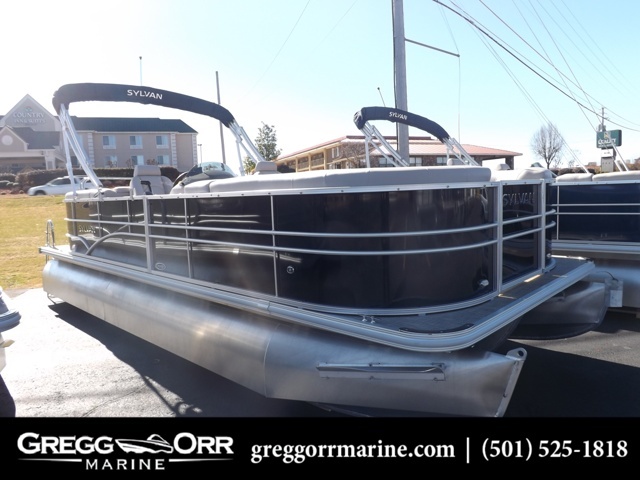 This boat comes standard with features like Sea Grass flooring, depth finder, radio helm controls, bimini top, mooring cover and SO much more. This boat is powered by the world leading outboard Yamaha F150LA and will move you down the water at a perfect rate of speed! Come by 4903 Central Ave Hot Springs or call us at (501)525-1818. 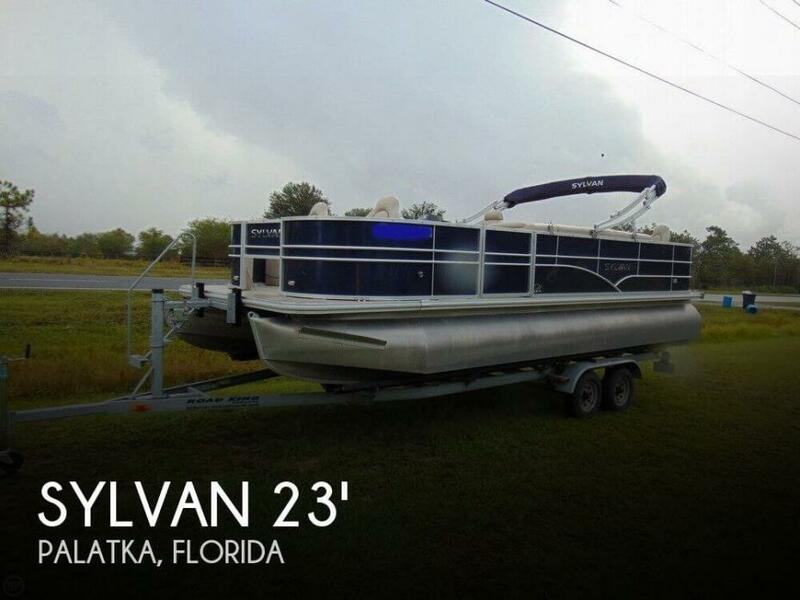 2015 Sylvan Mirage 8522 CNF 2015 Sylvan Mirrage 8522 50 Yamaha four stroke- Bimini top- AM/FM/AUX- Rear Livewell - Changing room- 25" tubes- 12 Person capacityThis pontoon is like new! The interior is in excellent condition as well as the exterior. This is a very nice looking pontoon especially with the teak like floor! It is very comfortable to sit in and there is plenty of room to move around with the four fishing seats in corners of the boat. It also has a livewell, rod holders, and rod storage! The motor starts right up and runs great. It is boat only the trailer is not included. 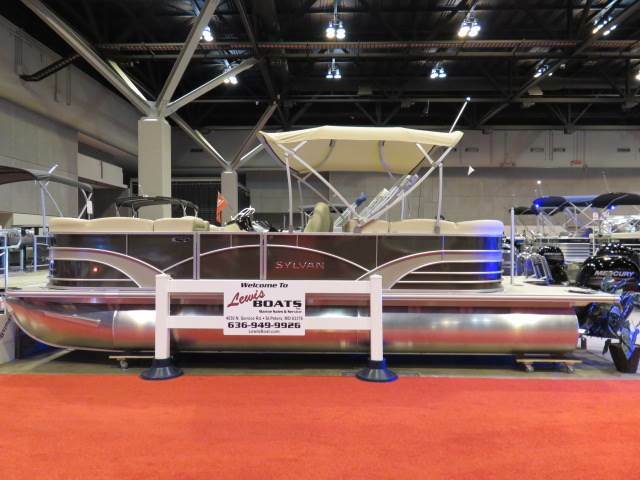 If you purchase the pontoon from us we will store it until spring. We also included a 30 day promise that starts on the day you pick it up. 2017 Sylvan 8522 Mirage Cruise 2013 Sylvan Mirage Cruise LE 8522 LZ Sylvan Mirage Cruise is a tremendous value. Popular Dual Captain Chairs and Front & Back Lounge Seating for up to 12. Large comfortable helm and companion seat with room for a cooler without blocking aisles. THE FIBERGLASS CONSOLE features tilt steering wheel, premium audio system, windscreen and courtesy lighting. Removable table includes front and back bases. Model includes pop up changing room, recessed audio speakers and cup holders. Rear platform with ladder, single bimini top and full cover. Includes aluminum underskin. Powered with a Yamaha F 90 4-stroke outboard. Price includes trailer with brakes!!! This boat has been well maintained and engine has 248 hours as of April 2017. 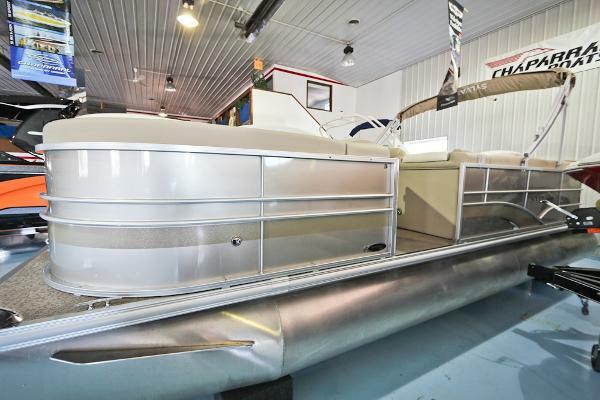 The owner has added dual 8" subwoofer speakers and a 250 Jenson Marine AMP. A dual battery system has also been added with controls to allow for playing audio while engine is off without draining the battery. Boat is for Sale by Owner, but original, local dealer can offer financing for this newer, low hour model! Will be happy to connect you if needed. 2016 Sylvan Mirage 8522 LZ Our most popular layout. Price includes boat, motor, and trailer! Yamaha 115HP 4 stroke engine. Brand new boat with full factory warranty. Low interest long term financing available and $0 down with approved credit. Call or email today with any questions about this boat or any others that we have. 580-286-9000 or 1-877-902-9001.